Stampin' Up! 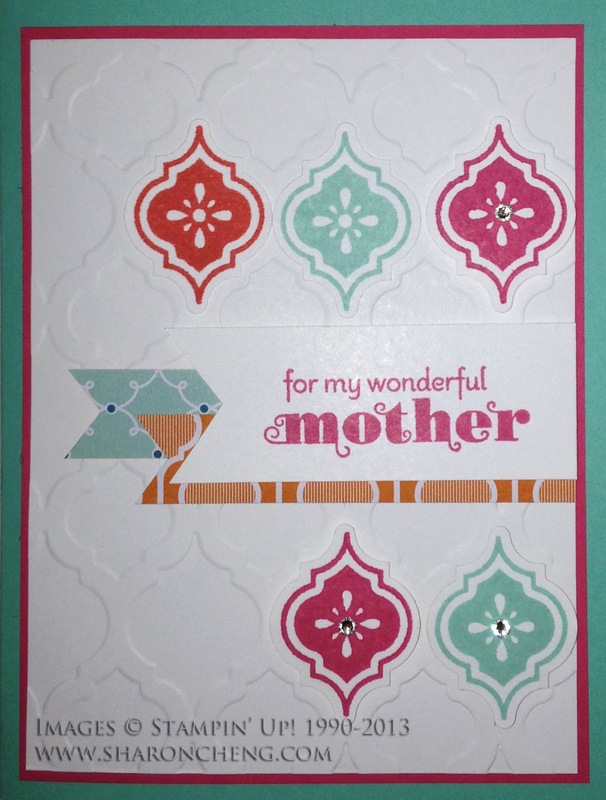 's Mosaic Madness stamp set was the inspiration for this Happy Mother's Day card. Happy Mother's Day to all of the moms out there! 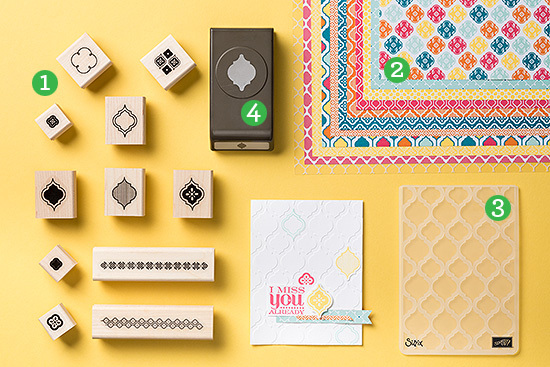 With the Mosaic Madness stamp set, coordinating Mosaic punch and embossing folder, this is a quick and easy card. To fit other occasions, all you have to do is change the sentiment. You'll be seeing this card design more than once! I also used two of the new In Colors for this card, Strawberry Slush and Coastal Cabana. 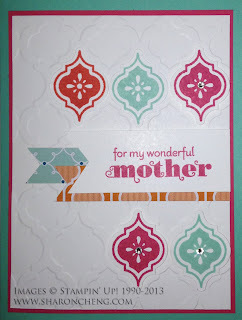 Earlier this month, Stampin' Up! sent me this FREE special product bundle. 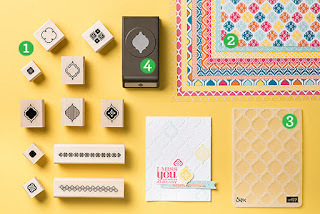 Yesterday was my first chance to play with these items from Stampin' Up! 's new 2013 - 2014 catalog. Demonstators can also buy other products from the new catalog ahead of time which is how you are getting these sneak peeks.